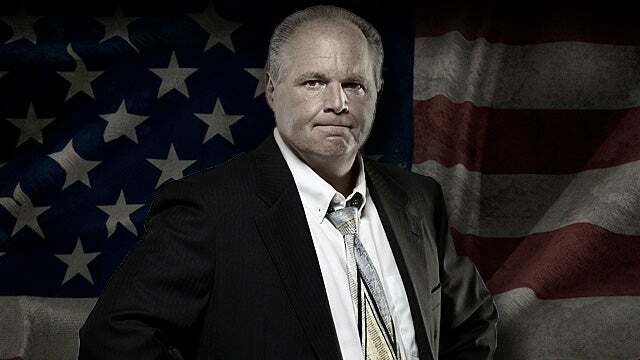 RUSH: Now, moving on to the Mueller report and the Democrats demand to see the whole thing. There is a story here in The Politico magazine by a reporter by the name of Renato Mariotti. Renato Mariotti is the legal affairs columnist for Politico magazine. He’s a former federal prosecutor. In this piece, he sounds like a raving lunatic. In a nutshell, I will summarize the piece for you as Barr summarized the Mueller report. Renato Mariotti admits that Barr can redact grand jury testimony and material involving national security. The Democrats are making a demand to see the whole Mueller report. Maxine Waters out there saying it’s three to four thousand pages, when it’s 300 to 400. But they want to see the whole thing because they are convinced, or more properly, they want the MSNBC audience and the CNN audience to continue to believe the fake news. They have to have the fake news. Their news organizations depend on this fake news never ending. The Democrat Party’s electoral chances, they believe, depend on the ongoing possibility that Trump colluded. And so for that to be legitimately possible, Barr has to be lying, Barr has to be covering things up. 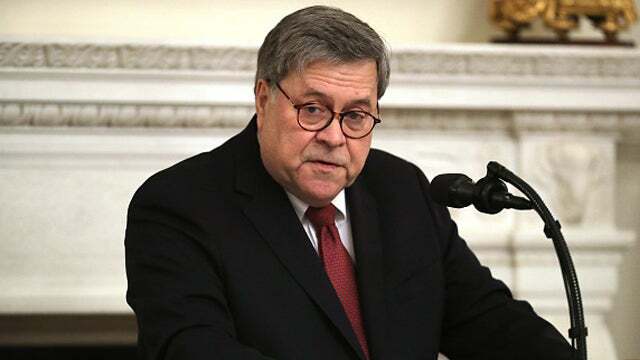 Barr wrote a four-page summary of the 300-page Mueller report, and the Democrats are saying that Barr is not being honest and that he can’t be trusted, and they are demanding to see the entire thing, including grand jury testimony, which is illegal. It’s not ever to be made public except by the people — the witnesses. If they want to make public what they said, nobody can stop them. But government agencies involved in the grand jury nobody can leak or make public anything. It has to be redacted. So this columnist for politico, Renato Mariotti, is admitting that Barr can redact grand jury testimony and material involving national security. But he has conniption fits here at Barr’s promise to protect the personal privacy and reputational interests of peripheral third parties. This guy, in other words, wants all of the salacious dirt that might have been turned up even if it wasn’t a crime, even if it isn’t credible. Now, let me give you a heads-up on this report. I want to remind you of a little prediction I made about it a couple of weeks before it came out. I didn’t predict what it would say about collusion because I am unable to predict from a day-to-day basis the level of dishonesty of the people involved here. But the one thing I’m confident of that this report is filled with innuendo about the unfitness for office of Donald Trump and his family. I’m convinced that this report has a bunch of judgmental opinion in it about Trump’s character and his personality and his manner of speaking. So that even if there is no collusion, I believe this report will provide those who want it ongoing, quote, unquote, evidence that Trump is unfit. Because this has been the objective of this from the get-go. The objective of all of this has not been an investigation. This has been a coup. It has been a silent coup determined and destined to overturn the election results of 2016. And it is ongoing. 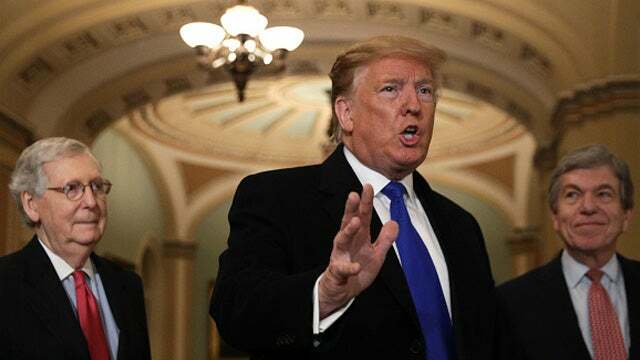 As I told Bret Baier and Sean Hannity last Thursday night, it hasn’t stopped, it isn’t over just because the Mueller report is in. It’s not finished. It’s an ongoing project, and it will continue. Even if Trump is reelected in 2020, it will continue. It’s all they’ve got. It’s their insurance policy against something like this happening in the future. Some outsider coming in and winning. They are doing everything they can to disqualify Donald Trump and people like him from serving as president. 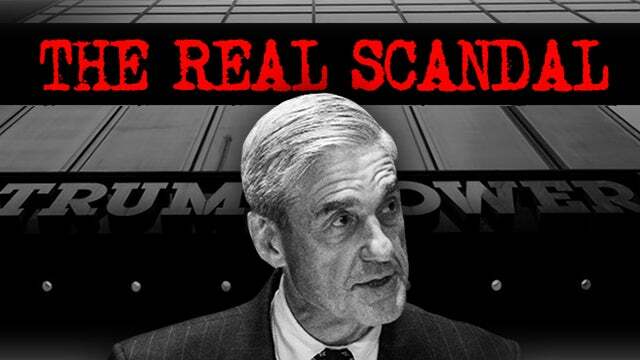 So I’m pretty assured that the Mueller report has enough salacious, accusatory character assassination in it to fuel the Democrats’ push for getting rid of him for as long as they want to take it. Now, Barr has not reported any of that. He just summarized the report with the base conclusion no collusion and no obstruction of justice. But all the Democrats want to see it because they’ve got — I don’t care what they believe. They want their voters, they want the deranged audiences of MSNBC and CNBC, the readers of the New York Times to believe that there is, quote, unquote, evidence that Donald Trump is a bad guy, that Donald Trump is uncouth, that Donald Trump is an ogre, that Donald Trump has no business being president. So this guy writing in Politico magazine, he wants something to use against Trump and his family. And never mind the Mueller report probably includes all kinds of information like the information from FBI interviews which is often hearsay or even worse, slander, it’s got some of the raw data in it. They want to see the raw everything. Guess what they want now? But this writer says that since the Constitution has the sole power of impeachment, Congress thereby has the power to see all the evidence, which is laughable, because it doesn’t. Not to mention it gives away the Democrats’ view of the Mueller investigation, which was nothing but an operation to find fodder for impeachment. This is nothing more than an ongoing political project. It is not an ongoing effort to find out if Donald Trump colluded. It’s not an ongoing effort to find out if Donald Trump’s a Russian agent. It is an ongoing political project to get rid of Trump. Jerry Nadler is making moves, he’s chairman of the House Judiciary Committee, and he’s demanding to see the whole thing. He wants to see the entire unredacted report, and he wants to make it public. However, however, the Democrats are covering their bases in the event it isn’t all — And it won’t be. I don’t know what Barr is gonna do, but Barr probably is not gonna hand these Democrats every weapon they want. And whatever is released — and something will be — it will be heavily redacted. And Barr has pointed out he is going to not include all of the unprovable, salacious allegations against unrelated third parties that were interviewed. 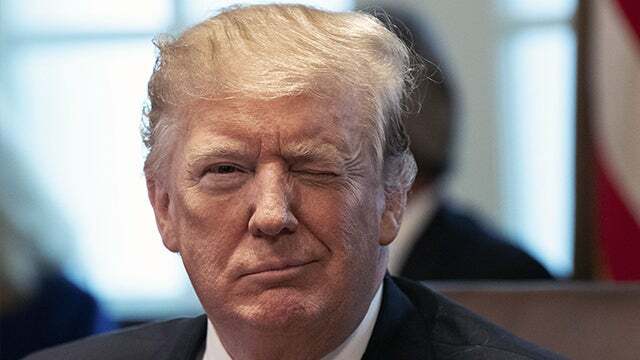 So the best thing the Democrats think they have is to portray Barr and Trump of hiding the report, even though, folks, the entire report cannot be published unless you break the law. Do not doubt me on this. And then they’re claiming, some people are, that Trump is behind this, that Trump is making sure Barr doesn’t release it, Trump is making sure it’s never going to be seen. The point is — and the media is probably the architect of this strategy. The point is to continue to permit the media and the Democrats to allow them to keep pretending that there is dirt, that there is evidence, but for some reason, the administration is making sure you never see it. This is the agenda. This now is the new way that the Democrats are talking about the Mueller report. Not that it clears Trump, not that there’s no evidence of collusion, not that there’s no evidence of obstruction. No. The new take is, there’s something in there. There’s something in there Barr doesn’t want anybody to see. There’s something in there that they don’t want us to see. Something Trump doesn’t want anybody to see. They are keeping it secret because there is real dirt on Trump in there. This is the new agenda item. This is the new way of going forward. Look at it as a brand-new conspiracy theory. They got no choice. They had everybody in this country persuaded that Trump had colluded. They had everybody — well, not everybody. With the help of the media, the daily news media multiple times a day for two years was that Trump was a traitor, that Trump colluded with the Russians and Putin because Putin wanted Trump to win because Putin didn’t like Hillary. And after two plus years of this multiple times a day a significant number of Americans believed it. And so the Democrats do not want to let go of that because the objective is to continue to distract Trump, put a cloud of confusion over Trump, to create doubt about Trump. So while the full report is not released, they can say everybody involved is hiding it ’cause there’s all kinds of dirt in there on Trump that nobody wants anybody to see. Now, I want to refer back to another point. Every allegation they make, every allegation in this summary that Barr makes — this is so silly. Barr says no collusion, no obstruction. Democrats say, “He’s lying. We can’t trust him. We want to see the whole report.” Where’s Mueller? If Mueller has written that Trump’s guilty of things, why isn’t Mueller piping up and saying so? Why isn’t Mueller in somebody’s office saying, “No, the attorney general is lying. We got the goods on Trump, it’s in our report, wait ’til you see it.” Why aren’t they saying that? In fact, you know what I found out? 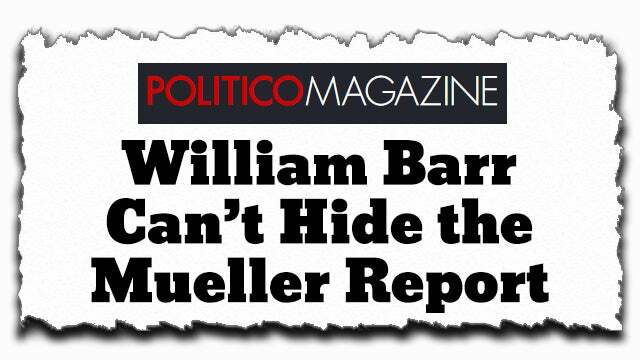 Mueller is helping Barr with the redactions of this report. They’re working together on it in terms of what should be redacted. (interruption) You don’t like that? It is good because the point is that if Mueller were being misrepresented here by Barr, Mueller without out in force telling everybody. So again, the Democrats don’t care a whit about fact or truth. They just want to continue to be able to pummel people with fake news, because that’s what they’ve conditioned their voters and these left-wing media audiences of. And they’ve gotta keep feeding it or the audiences will drift away and potential Democrat voters might lose enthusiasm. So brace yourselves because even though we know for a fact no collusion, no obstruction, the Democrats are maintaining it’s in there, it’s in there, Barr’s hiding it. “We want to see the whole thing, and we’re not gonna go away,” ’til they see the whole thing. And they’ll never see the whole thing, is the point, without the law being broken. So, as far as they’re concerned, they’ve got an endless opportunity here since it will never be seen in its entirety. They can lie for years about what’s actually in it. RUSH: Now, what I think is happening, folks, I don’t know if it’s Mueller, but there’s somebody on Mueller’s team that’s leaking stuff on these Democrats. I mentioned this last week. Remember there was a Washington Post story, to me it was an obvious leak. I wish I could remember what it was. It was somewhat benign, but it was obviously a leak. And I made the point last week that for the next two to three weeks, until this thing comes out in toto we’re gonna see evidence of strategic leaks from the special counsel’s office. And I think what is happening is that somebody in that special counsel’s office is telling somebody somewhere, “There’s a lot of fascinating dirt on this guy. We didn’t find any collusion, but man, some of the things people said about this guy and his family,” ’cause I have no doubt this report, since there was never any evidence of collusion and there wasn’t any obstruction, but that didn’t matter ’cause that’s not what this was to do. There wasn’t any evidence when this began. It was not an investigation. This is an effort to make the people that voted for Trump in 2016 regret it, to make everybody regret that Trump was elected. That’s what this is. And so anything that can be produced — yeah, the Washington Post story was about why Trump didn’t sit for an interview with Mueller and how Trump may have outsmarted Mueller and so forth. It reeked of a sour grapes defensive posture from the special counsel’s office ’cause they can’t sit there and abide Trump being reported to have outsmarted them or outwitted them. RUSH: Okay. Coming up next is the polling data on the American people and the Mueller report, and it’s very, very interesting, three different polls. But before we get to that I want to close the loop on what I think is happening, what I know is happening. I know — “know” — “know” in quotes. My best guess is that somebody in the special counsel’s office is leaking. Last week the story in the Washington Post was why Mueller didn’t interview Trump. How come Trump didn’t sit down for an interview? How come he just did written answers to questions? Now, there’s no reason for that to be a story at that stage. The report’s out. The Barr summary is there with the report of no collusion and no obstruction. So what was the point of this story? Well, the reason for the story was that it looks bad that Mueller wasn’t able to arrange a sit-down with Trump. It looks bad that Mueller was outsmarted. It looks bad that Mueller may not have taken a full swing at Trump because he didn’t find a way to get Trump to sit down for a personal interview. Trump just did written answers to questions, which everybody knows are written by Trump’s lawyers. But more than that, Trump didn’t have to sit down with Mueller. As a matter of law, he did not have to. So that story was an attempt to cover the, shall we say backside, of the special counsel’s office. And when I saw that story, it told me that however many weeks it is until the, quote, unquote, full report is released, we’re gonna get further leaks. Because they’ve got their interests to protect. Because this summary makes it look like Mueller’s investigation was a failure. We have to keep in mind what the objective was. The objective was not to find out if the sitting president was a traitor! They knew he wasn’t. They knew there hadn’t been any collusion. The objective was to continue to raise questions about Trump’s fitness to serve as president. And it is ongoing. So just because they found no collusion, that equals a failure. But stop and think of something, folks. To show you how close, how whisker close we were to disaster, what if, as a hypothetical, what if the report had alluded to some collusion, maybe not verifiable — I mean, Mueller could not publish an out-and-out lie. And the fact that there is no collusion in this report ought to assure everybody that we didn’t even get close to it. Because if there had been close proximity to collusion, it would be in that report. And imagine if Mueller had alluded some. Do you realize what we would be going through in this country today and starting the day that report was released? If they had submitted a report that the president of the United States was likely a traitor, had stolen an election with the assistance of the enemy, Russia and Vladimir Putin, can you imagine what we would be doing today? Can you imagine what this country would be like today? Can you imagine the left-wing lunatic Democrat voters and what they would be doing? The articles of impeachment, I’m convinced, are already written. They’re in a draw somewhere. They would have been submitted. Trump would be hounded daily to resign. The Republicans would fade away. The Republicans would not stand up to it. The Republicans would cave. And the fact that Mueller didn’t even allude to any collusion ought to tell everybody that there wasn’t any collusion ever, there wasn’t even the appearance of collusion, there wasn’t even anything close enough to say there might have been collusion. Because if there had been, they would have done so. Because that was the objective. So, from their standpoint, the Mueller investigation is a failure. From our standpoint, the Mueller investigation is a multiple faceted success. See, I keep falling for the trap. It wasn’t an investigation, when you get right down to it. It was a coup. Well, this phase of the coup failed. They failed to come up with anything they could portray as potential collusion, ‘cause if they had it, they would have. So instead of everybody rejoicing that the president is not a traitor and instead of everybody rejoicing that the Russians had nothing to do with the election, that it was up and up and that we can trust our electoral process. No, there’s none of that. There’s anger! There is frustration! They wanted the president to be an agent! They wanted the president to be a traitor! They wanted Russia to have had something to do with the election. So from that standpoint, from the Mueller team’s standpoint, they failed. They failed in this phase to get rid of Trump. So now we’re on to the next phase. And the next phase is, until the report is made public, it’s got to have something in it that they don’t want us to see. There may in fact be collusion in there. There may in fact be obstruction there. Doesn’t matter what the truth is. All that matters is what the Democrats can say that the media can amplify to continue to confuse and mislead and basically lie to the percentage of the country that believes and wants to believe this stuff because that’s all the Democrats have. They don’t have winning policy positions — Green New Deal, anyone? Socialism as the new way of governing America. They don’t have a winning anything. So that’s the objective. The objective is to paint everybody involved here as hiding something from the American people. Even though there is no collusion and no obstruction. It’s a sad time we live in. It’s a dangerous, dangerous time we live in. Now the polling data on this. First off, a Wall Street Journal poll. Since December of last year, December 2018, the Wall Street Journal has asked this question in its poll every month. Are you ready? “Based on what you have seen, read, or heard about special counsel Robert Mueller’s investigation, has it given you more doubts about Donald Trump’s presidency or not?” They have asked that question every month since December. In December, 50% of respondents said the investigation has given them more doubts about the Trump presidency. Forty-four percent said that it has not. Responses in January and February were about the same. “Based on what you’ve seen, read, or heard about Robert Mueller’s investigation, has it given you more doubts about Trump’s presidency or not?” December, January, February, 50% said “yes, more doubts.” After the Mueller report and after the attorney general’s summary of the report, only 36% of respondents now say that Mueller’s work has created more doubts. Fifty-seven percent say it hasn’t. It’s a pretty good flip. It’s still way too high a number, but it’s still a pretty good flip. But that’s not at all. The number who say that Mueller’s investigation has created major doubts has diminished significant. In December, 31% held that view. Now only 22% do. But, folks, I have to tell you, it is shocking that even 36% now say that Mueller’s work has created more doubts. But if you dig further, do you know what? The only people in that 36% — 99% of them are Democrats. Independents and Republicans now think Mueller’s investigation has not given more doubts about Trump’s presidency. In other words, the only people hanging onto this hoax are Democrats. Republicans and independents, which everybody claims they need to win elections, Republicans and independents no longer believe that Robert Mueller has the goods or that his investigation makes Trump look bad. They waited for the report, they heard what the report and the summary said, and bingo. Only the Democrats are hanging on. That is why all of the Democrats are continuing to push this hoax, because that’s all they have to offer their voters. That the president is a traitor, that the president rigged the election, that the president is unfit, that the president is this, that, or the other thing. That’s all the Democrats have. Now, this is not to see that these Republicans and independents don’t have doubts about the Trump presidency, but they don’t have doubts about it because of the Mueller investigation. There are two more polls I need to tell you about. I have to take a break here. But the next two are gonna basically portray the same thing, that the only people hanging onto this in significant numbers are Democrats. That everybody else is coming to grips that Mueller turned up nothing, that there is nothing. So it explains, in large part, why the Democrats are adopting the position they’re adopting. RUSH: The other two polls that I want to share with you, up first here is a story from the American Spectator. And I just want to give you some of the pull quotes from this because it sums it up very nicely. A Harvard/CAPS, slash, Harris poll, so here’s Harvard — that might be Mark Penn. Harris is Harris. This is a mainstream media documented acceptable polling unit — found two thirds of registered voters want Congress to accept the finding and stop further investigation. Two-thirds! Two-thirds of registered voters, not likely, but registered voters want Congress to accept Mueller’s finding of no collusion and stop all of this. 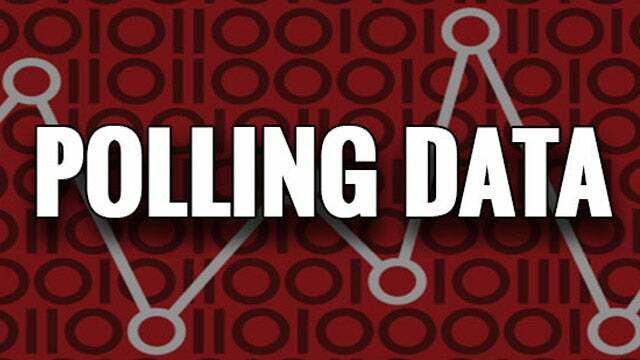 Survey of 1,437 registered voters first reported by TheHill.com, a respected Drive-By Media outlet. Well, respected among themselves. And the question was, “Should the Democrats in Congress accept the finding of the special counsel or contest the finding and do another investigation?” Sixty-eight percent of voters answered: “accept it and move on.” The survey also found that 64% of voters are themselves willing to accept the conclusions reached by Mueller, and 61% personally agree. Another pull quote. “Another poll conducted on behalf of CBS News found that a majority of Americans believe the Mueller probe was a political hit job. 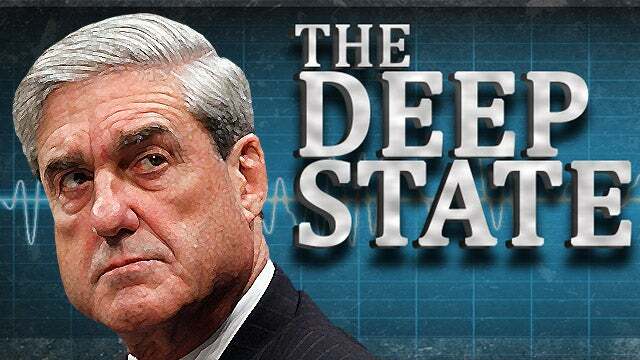 You start putting all of this stuff together, and it does not look good for the media, it doesn’t look good for Mueller, and it doesn’t look good for the Democrats. This survey, the CBS poll, was 1,002 adults. Question: “Do you think this investigation into possible dealings between Trump and Russia was justified or was the investigation politically motivated?” Fifty-four percent said politically motivated. Folks, that is an incredible number when you stop to think that there were 500,000 stories alleging Trump-Russia collusion. There were however many of hours of cable news and standard network news broadcasts alleging Trump-Russia collusion. And 54% think it was politically motivated. That is the equivalent of 80% thinking so. CBS buried that in their poll. When you look at the article you have to keep reading and reading and reading and reading and reading ’til you find 54% think that it was a hack job. The Harvard poll, the CBS poll, confirmed the public agrees with Trump that it was a witch hunt. And finally, a Rasmussen Reports national telephone and online survey found that just 31% of likely voters think congressional Democrats should do their own investigation even though the Mueller investigation has failed to prove the Trump campaign colluded with the Russian government. Sixty-one percent in this poll say Democrats in Congress should move on to other issues. Oh, but it wait! There is another poll. And it was conducted by NPR. And it shows that a majority of Americans are satisfied with Mueller’s findings, including a majority of independents, which backs up the first poll we talked about here! And that point is what should get the attention of — well, if there are any sane Democrats — the fact that only 36% of people in that first poll think — that was the NBC/Wall Street Journal — only 36% say that Mueller’s work has created more doubts. In other words, something like 60% of the people in this poll had their major doubts erased by the results. Republicans and independents make up that group. The only group of people who believe that this thing is still ongoing and should be ongoing are Democrats. And in the political world what’s going on with independents, as you know, is considered gold. And so if independents, including a majority of Americans are satisfied with Mueller’s findings, including these independents, then the Democrats had better take note of that, because the only people who have not bought into this are rabid Democrat base voters. Now, if you’re a sane Democrat, what do you do? And we’re gonna presume that there is a sane Democrat somewhere that has some sway over what the party’s national identity and focus is. Do you continue to focus and satisfy that 36% and hope somehow you can build on it? Or do you assume that 36%’s gonna be there and you start moving off of this to try to get some of these independents for 2020? And I don’t think they can do the latter. I do not think they have the ability to move off of this. I think the evidence, what we’re seeing here, the effort to try to convince that Mueller and Barr are hiding something, we can’t trust Barr. We’ve only got a four-page summary, there’s 300 pages in that baby, who knows what kind of dirt they’re hiding. That’s gonna be their pitch. We only have learned in four separate polls the independents aren’t buying it. Republicans, of course, aren’t buying it. But the independents aren’t. Trump’s base, they still haven’t made a dent in it, and that has been their primary objective from the get-go. So that’s that. There’s also this. The Washington Examiner has a great story. “William Barr ‘Pretty Upset’ With Clinton Emails Investigation, Lindsey Graham Says — Sen. Lindsey Graham, R-S.C., said Attorney General William Barr is ‘pretty upset’ with how the FBI handled the investigation into Hillary Clinton’s unauthorized private email server. 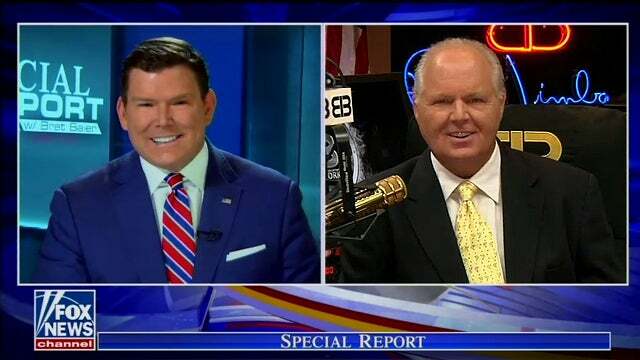 I mentioned that last week on Special Report with Bret Baier, and I got, “No, Rush, no! Not another special counsel! We don’t need more investigations. Another two years.” I understand that. But we need something. We need somebody to look into this. Somebody needs to turn the tables and look at the people who actually perpetrated this! And that is Hillary Clinton, the Perkins Coie law firm — you probably can’t touch them — Glenn Simpson, Fusion GPS, and all of these conspirators at the FBI top leadership during the Obama administration. Look, I’m sorry for sounding like a broken record, but I’m convinced that the Mueller, quote, unquote, investigation was really just — He knew, quote, unquote, “knew” for a year and a half there was no collusion. Why not release an interim report? Why not relieve the national suffering? Why not help Americans put this — because that wasn’t the objective. Stringing this thing out provided the cover-up avenue and vehicle to keep everybody’s attention focused away from the real perps on this! This is more than the greatest hoax in American political history. It’s more than the biggest scandal. This is an outright assault on the United States Constitution and our way of constitutional government. This was an effort by a bunch of unelected, effete snobs to do everything they could, including destroying lives and families, to overturn election results that they just disagreed with.